After almost a year of fearful contemplation, and thanks in no small part to a bit of cabin fever (it's been really cold for TWO DAYS! 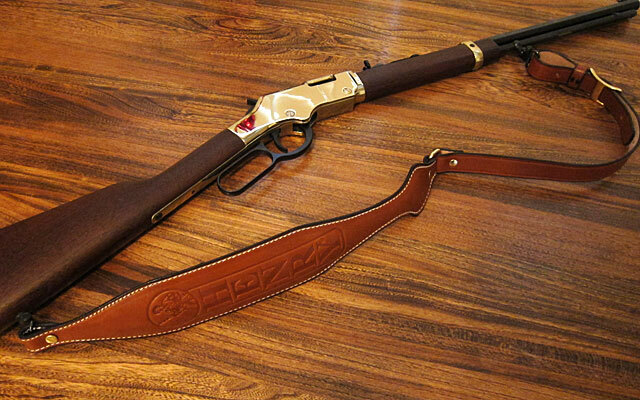 ), I finally worked up the courage to mount a sling to my Henry Golden Boy rifle. 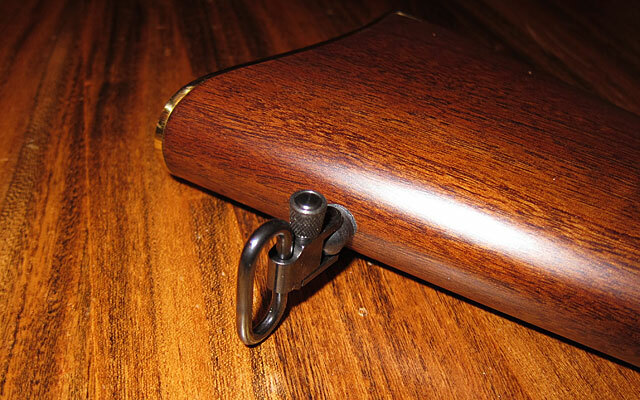 If that doesn't sound all that courageous, then you've never seen that beautiful walnut stock and entertained the idea of drilling a hole into the heart of it, a hole that can't be undrilled if not done perfectly the first time. I'm not a gunsmith and the risk of defacing a beautiful firearm was not one I take lightly. As it turned out, the contemplation was worse than the execution, and it's with great relief that I present the results. This is where the drilling came in. See what I mean about the beautiful wood? That simple-looking fitting was complicated by the fact that it required drilling a 5/32" hole inside a 7/32" starter hole - with each having to be drilled to a specific depth - along with the additional facts that I don't have (1) a gun vise or (2) a drill press or (3) a drill bit depth collar. Or, for that matter, (4) any inherent skill to perform this task. I've never let lack of proper tools or basic proficiency stand in my way of performing delicate operations on expensive equipment, relying instead on God's grace for children and fools along with a knack for Texan engineering (and a spooky ability to cover up mistakes). 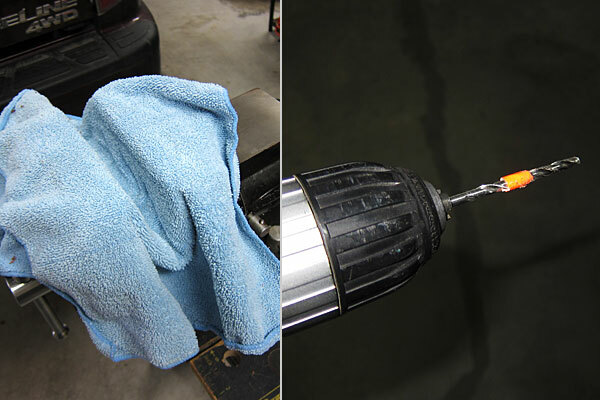 So I addressed the first three issues with a shop vise, some microfiber towels, and a strip of orange duct tape. Fortunately, the fourth shortcoming was set aside for the next job, and the outcome of this little project was pleasantly successful. The only remaining task is to change my name. This page contains a single entry by Eric published on December 7, 2013 3:25 PM. Cold Snap was the previous entry in this blog. Overriding Website Styles in Google Chrome to Improve Usability is the next entry in this blog.